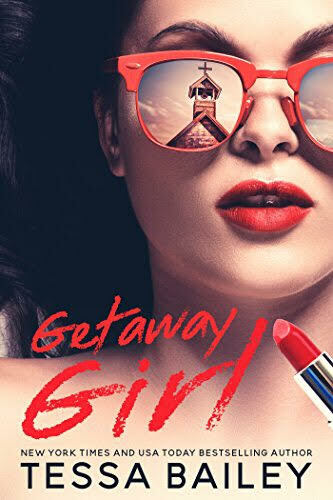 Getaway Girl by Tessa Bailey was the quintessential friends-to-lovers romance with an angst-filled and wonderfully written lead-up from friendship to beyond. Most crucial to this story was the friendship between Addison and Elijah. Bailey took her time with it, creating and crafting a close companionship that spoke louder than attractions and became this foundation for two people–both suffering two very different lives–to find that solidity they craved. Not only was their friendship forbidden, but so was absolutely anything more than that. The obstacles their friendship and more intense feelings created both served and detracted from their romance in equal fashion–all of which created a stunningly addictive love story. The dynamic between the well-mannered, soon-to-be-mayor and the town’s pariah was as fascinating as it was complicated. And though it added a particular spice, what was most beguiling was that raw instinctual need the characters had to be near one another that went beyond the physical attraction. They two brought out sides to one another which neither knew was possible, and constructed roots that finally found a soil to dig into. Addison’s wild was soothed by his calm and gave her a place to call home and feel safe. In equal measure, she gave him the ability to let loose from that carefully crafted political persona of his to find his true motives. It was a love between friends that grew to become a safe place to land, and that was impossible not to feel. Bailey continuously reinvents herself with each of her books, bringing forth characters with vastly different personalities and hangups. In the end she always brings it back to that one crucial thing: finding that perfectly beautiful and visceral love story. Filled with an ignitable couple that is as intimately touching as it is emotionally so, Getaway Girl shines on its own for all of the little things it says that speak so loud.